Two years ago, Mazda North American Operations (MNAO) threw down the gauntlet, pitting Mazda employees against Mazda dealers in the longest endurance race in America, the National Auto Sport Association’s (NASA) 25 Hours of Thunderhill. After two years, with the score tied between the dealers and employees, this year is about the bigger picture of teamwork and debuting the new 2016 Mazda MX-5 Cup race car. The team will race four brand new 2016 Battery Tender Mazda MX-5 Cup spec cars, with the only changes being the installation of additional lights for the very dark Northern California track. Since the MX-5 Cup series consists of 45-minute sprint races, this race will be the equivalent of two full seasons of testing per car. BFGoodrich Tires will be supporting the effort along with the Robert Davis Racing team. The pit crew is 100 percent volunteer, mainly Mazda employees, racers and friends. The twice-around-the-clock-plus-an-hour race will take place December 5 and 6, 2015, at Thunderhill Raceway Park in Willows, Calif. The action will be streamed live for all 25 hours from inside the MX-5 Cup cars at www.MazdaLIVE.com Additional live coverage will be posted to the Mazda Motorsports Facebook page, and via the Mazda Racing Twitter account. 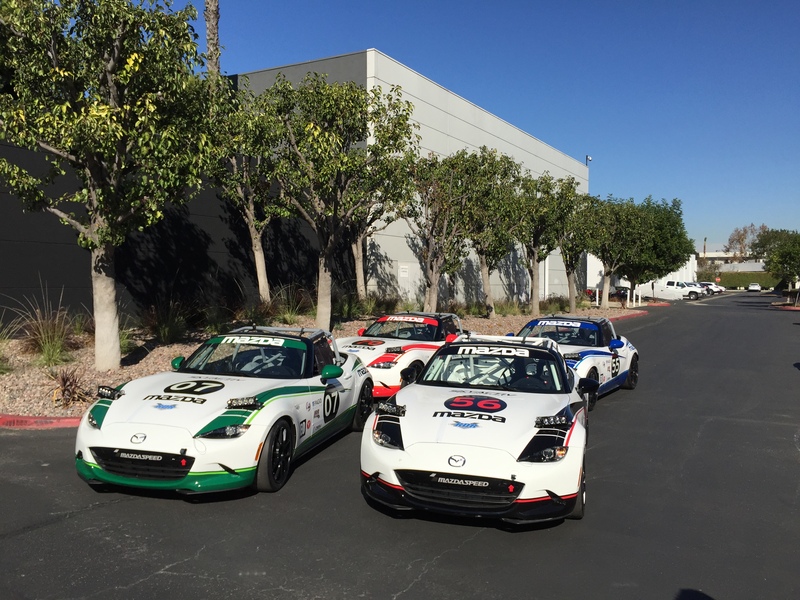 The four MX-5 Cup cars will line up alongside more than 60 other cars competing in seven different classes, including a dozen other Mazdas. This race, now in its 13th year, attracts an extremely diverse entry list of teams, cars, and drivers from around the world, ranging from professionals to club racers, and from Mazda Miatas to prototype racers.